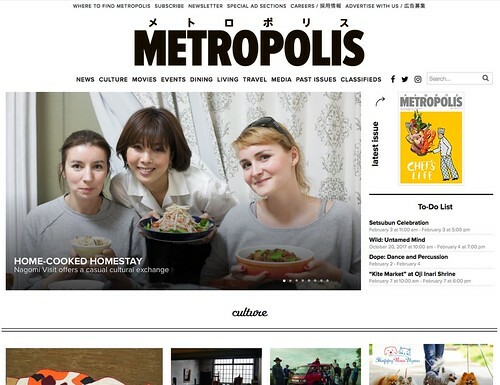 Arigato to Japan's most well known English magazine Metropolis for covering Nagomi Visit. Looking forward to foreign residents in Japan joining a Nagomi Visit "to experience a part of Japan away from tourist hotbeds and outside the expat bubble." As mentioned in the article, to participate in a Nagomi Visit "No Japanese is required—all hosts have some level of English speaking ability—the goal is simply to learn about everyday Japan over a home-cooked meal." However, if you are currently studying your "Kanji flashcards and Genki textbooks" we welcome you to test out your Japanese!